When it is complete, Afterhouse will support the cultivation of crops such as figs and pomegranates. 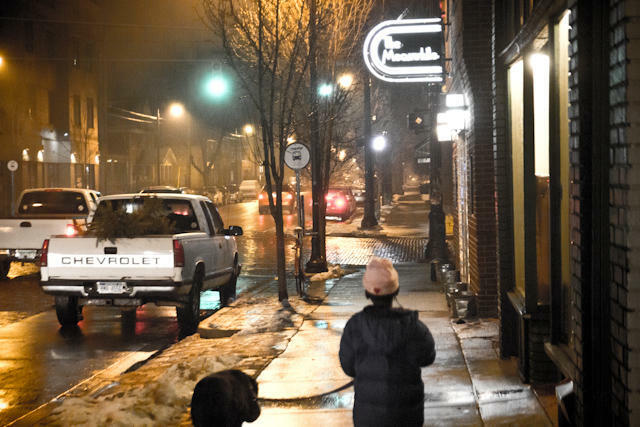 Even on a 20-degree January day, temperatures inside Afterhouse could be in the 50s. 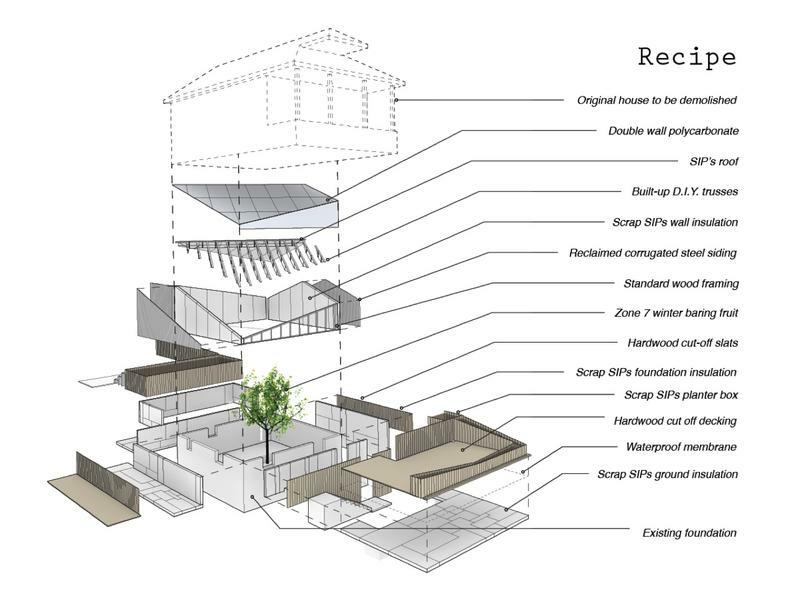 Afterhouse was constructed mostly with recycled materials. The original house, located at 3347 Burnside St. in Detroit, had suffered from vandalism and fire damage. 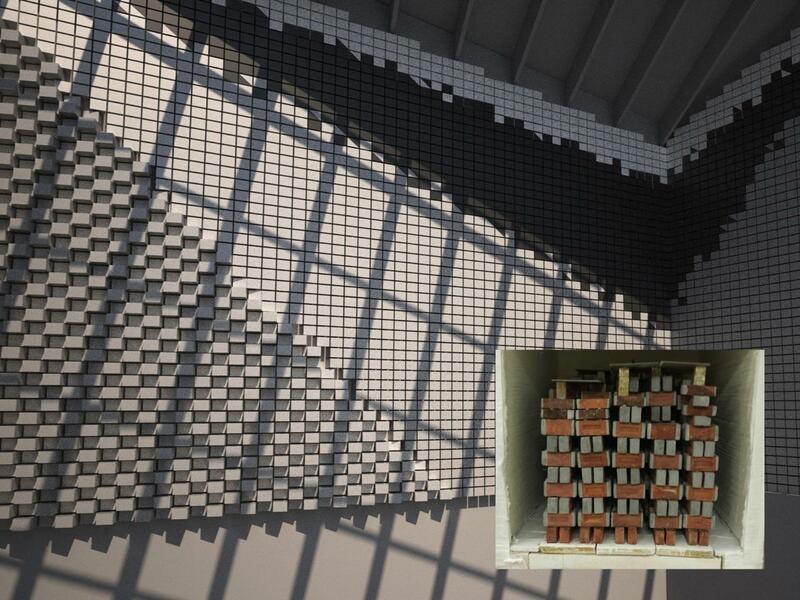 The interior of Afterhouse features a thermal mass wall made of glazed bricks. It wasn’t too long ago that the house located at 3347 Burnside St. in northeast Detroit was a true eyesore. Long since abandoned, it had been damaged beyond repair by fire and vandalism. There were boards over the windows and spray-paint on the walls—all the telltale signs of the kind of blight that has afflicted neighborhoods throughout Detroit. But stand in front of 3347 Burnside St. today and you’ll see something very different. 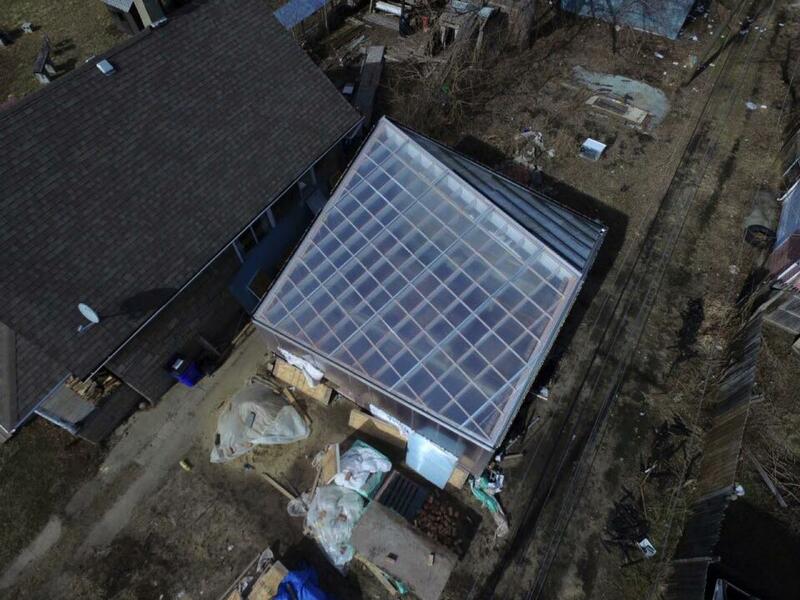 Where once there was disuse and disrepair, now there’s… a greenhouse. University of Michigan architect Steven Mankouche is one of the members of the architecture research collaborative who has been working on the project. He told us that the greenhouse is partially subterranean, sitting in the foundation of the old structure. It was constructed with recycled materials, including many stripped by hand from the original home. Its transparent, polycarbonate roof, traps heat, and it relies on the earth to serve as a thermal battery, moderating summer highs and winter lows. 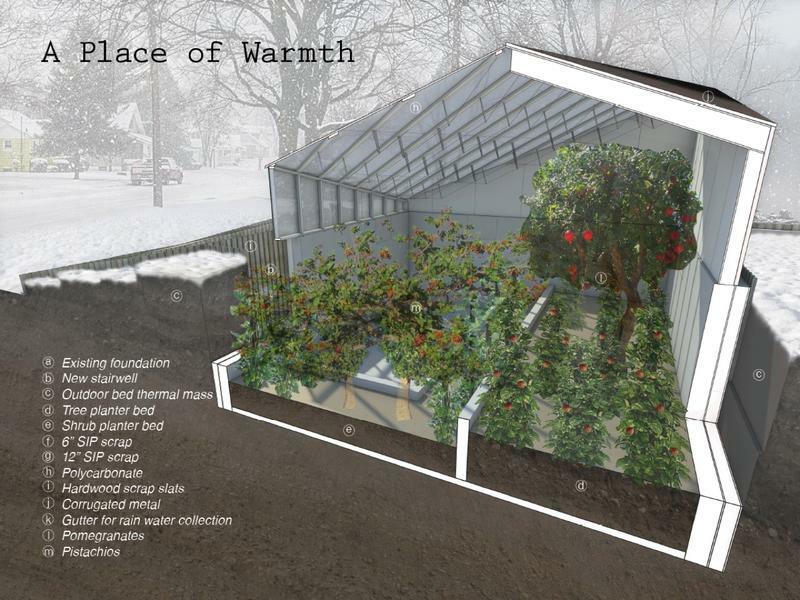 On a 20-degree January day, for instance, this design would keep temperatures inside the greenhouse above freezing. 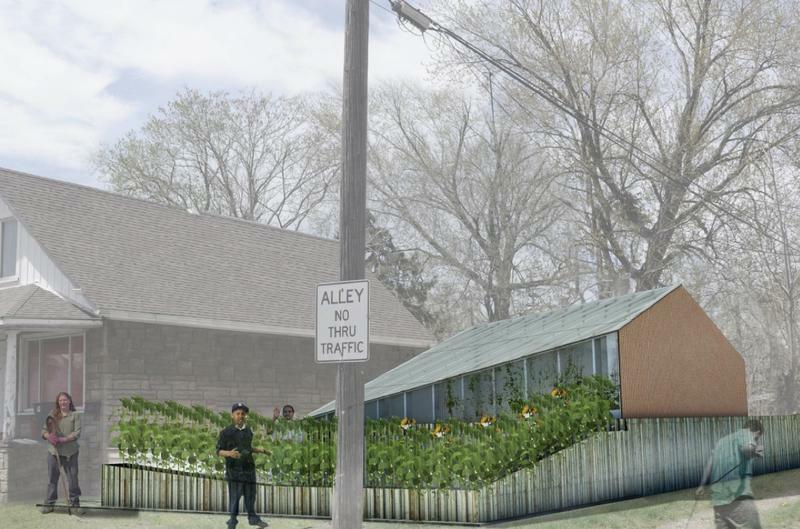 The project offers a new way of dealing with the thousands of blighted homes that are spread throughout Detroit and other Michigan cities. This should allow for the cultivation of crops like figs, pistachios, and pomegranates—plants that are more suited to a Mediterranean climate than the extreme hot and cold of southeast Michigan. It isn’t just the prospect of fresh pomegranates during a Michigan winter that makes Afterhouse a novel idea, however. 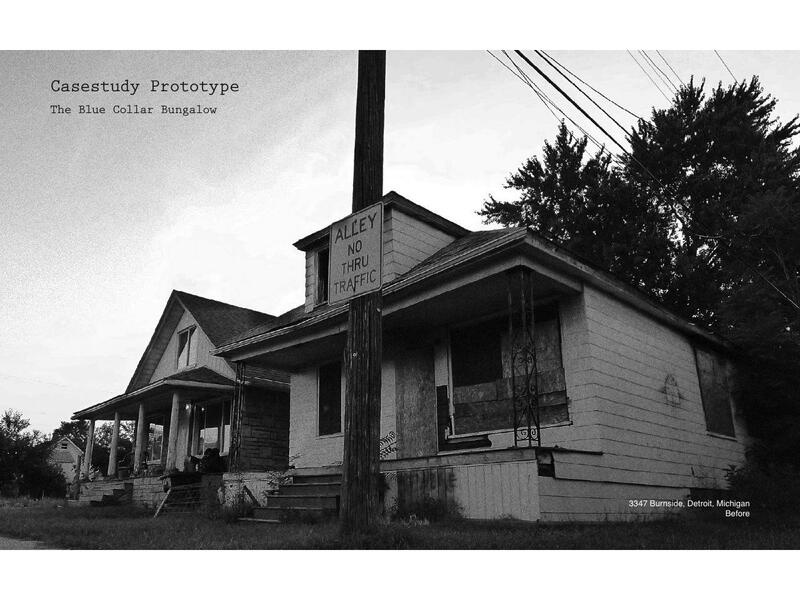 The project offers a new way of dealing with the thousands of blighted homes that are spread throughout Detroit and other Michigan cities. The typical fate for such houses is a total demolition. The walls are torn down, the foundation is removed, and the gap that remains is filled in with clean earth. Since January 2014, more than ten thousand blighted homes in Detroit have been removed in this manner, with more demolitions planned for the future. But while demolitions are quick and effective, they leave vacant lots which have at best a neutral effect on the surrounding neighborhood. Afterhouse, in contrast, has had positive spillovers throughout the surrounding community. “[It] generates a lot of excitement to see something coming up, brand new construction being built in the neighborhood,” Mankouche said. Check out pictures of Afterhouse and listen to our full interview with Steven Mankouche above. Listen here to the full interview. Subscribe to The Next Idea podcast on iTunes, or with this RSS link. One proven way to give local businesses a boost is by grouping them together and building a brand. Think Detroit’s Greektown or Corktown, or Little Italy and Chinatown in other cities. Jamiel Robinson is working to make that happen for black-owned businesses in Grand Rapids. Robinson is founder and curator of the group Grand Rapids Area Black Businesses. It’s clear that Michigan’s economic future depends on turning out graduates who are strong in STEM skills - science, technology, engineering and math. 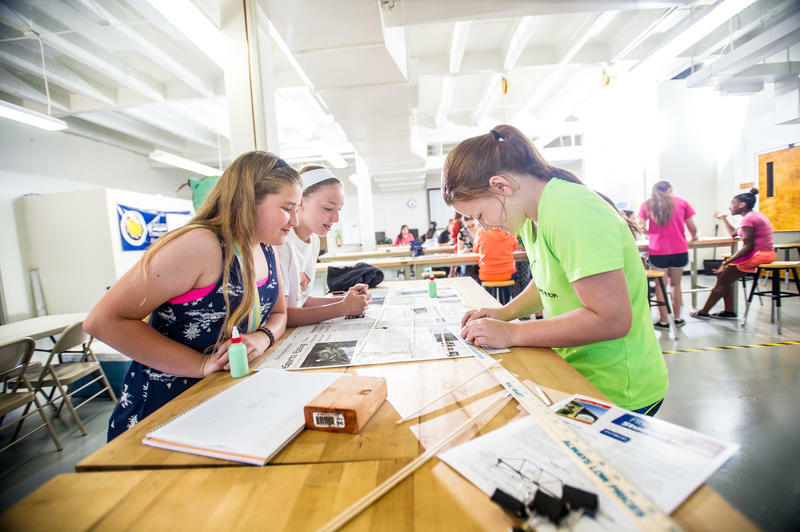 Attracting and keeping girls in STEM fields is the mission of The STEMinista Project, founded by Michigan Science Center chief executive officer and president, Dr. Tonya Matthews. 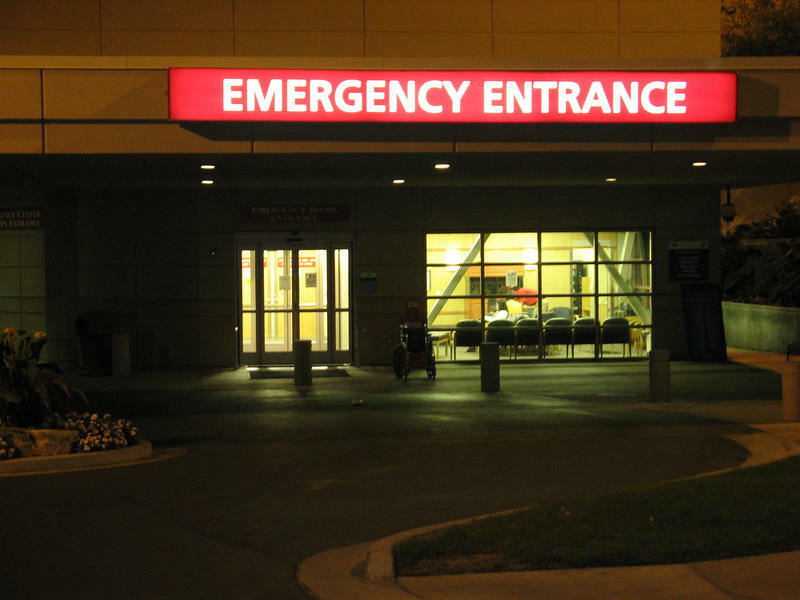 Take funding from the Affordable Care Act, add a $70 million state innovation model grant to the state Department of Health and Human Services, and you’re about to see an ambitious new project that can change health care delivery in Michigan. It’s called Michigan’s Blueprint for Health Innovation.